Khimki is a city in Moscow region, which border with the Russian capital takes place on the ring road. Between Moscow and Khimki is very developed rail and road connections. Depending on transportou load properly plan your route to Khimki to minimize cash expenditures and get the maximum comfort and pleasure from the trip. All the trains to Moscow depart from Leningrad station. Journey time varies from 20 to 31 minutes, depending on the time of day of departure train. The fare depends on whether the ticket is bought at full or reduced rate. The price of travel is affected by the transport of bicycles or animals, and hand Luggage weighing up to 50 pounds. to save you can get tickets, the cost of which varies depending on the period they are acquired. Apart from Moscow to Khimki's drive from Tver and from the stations "Wedge", "Kryukovo" and "Sunflower". Be aware that ambulances and passenger trains stop at the station of Khimki do not. Between Moscow and Khimki are very well developed bus service. Regular flights leave from the River station of the capital, and arrive on the street Pavlova, the platform, left Bank, street of Friendship, and the station of Khimki/West. Leaving from the metro station "Planernaya" can be reached in Moscow on the street of Friendship, to drive to the stadium "Rodina", or to get to the station of Khimki/West. On the final point can come from the settlements Ivakino", "hlebnikovo", "Klyazma" and also from the station of Lobnya. Bus to Khimki from the international airport "Sheremetyevo-2". The bus stop is located in the vicinity of the departure hall. From the Government House in Myakinino station Khimki/West followed by bus departure at 17:00 on Fridays, and 18:15 Monday to Thursday. Several buses during the day follow from Dolgoprudny Moscow region and arriving on the street of Friendship. If the route beginning in Moscow and in the city where you need to get to Khimki, there is no train station, it is necessary in any way to reach the Russian capital, where you can catch the bus to the final destination. Moscow has a very developed road network. Because the desired endpoint is bordered by the capital of Russia and the border passes on the Moscow ring road, it becomes very easy to get to Khimki on the car. It is necessary to follow Tverskaya street. After crossing the Third transport ring, it will move to the Leningrad prospectus. Reach the crossroads with Volokolamsk highway, should go right on the Leningrad highway. 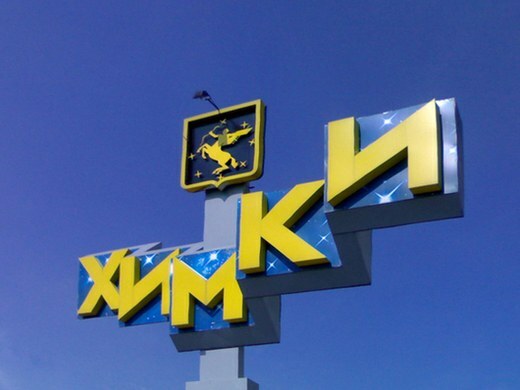 After crossing MKAD, Khimki will be the first settlement on the way.